Ranger Sabastion gave us a quick rundown of the interesting sightings at Arathusa Safari Lodge last week – enjoy! 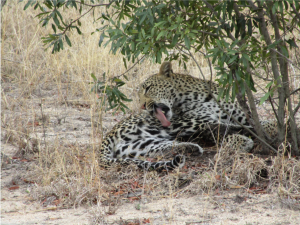 On the picture above is Sibuyi and her female cub (just under a year old), resting in a bit of shade not far from a kill mom made – the cub being the one facing us. This is the first sighting I’ve had of both of them on a kill in almost two weeks. We believe they have been in the south for a while, and are certainly glad to see them back. Sibuyi is doing such a great job raising her daughter and both are in great condition. 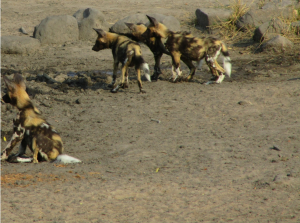 Seeing them back and on a kill was my sighting of the week! 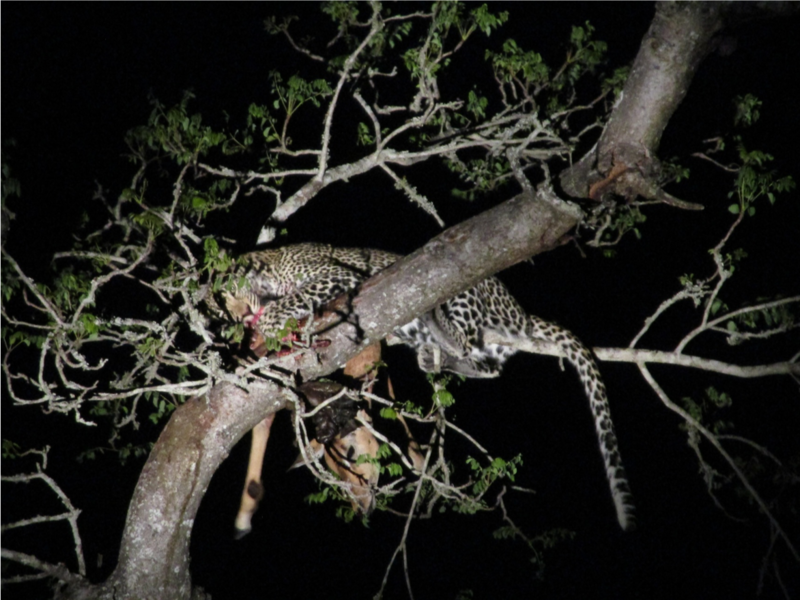 This cub, just under a year old, must can thank her lucky stars for her mother providing food as soon she will have to start making her own kills. Most young leopards gain independence and “leave home” when they are around a year old. 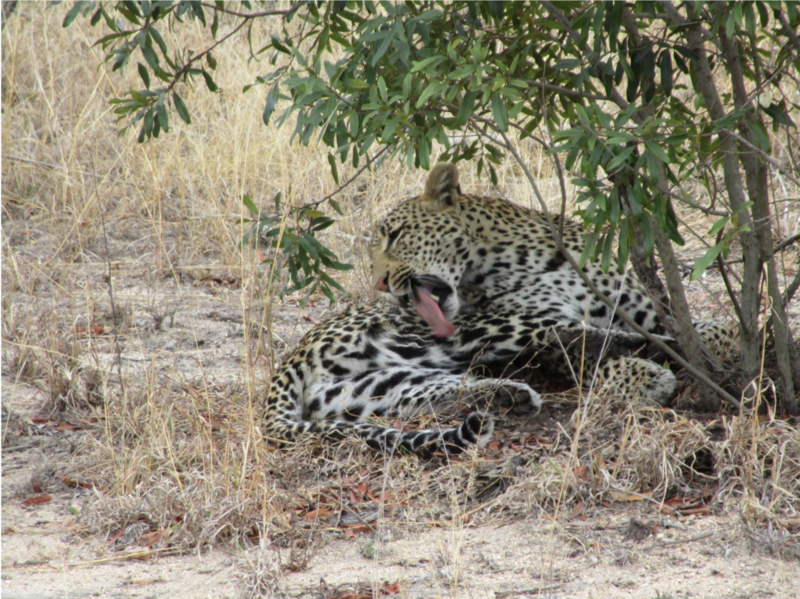 Newly independent leopards will still be tolerated by their mother up until they are around 18 months old. 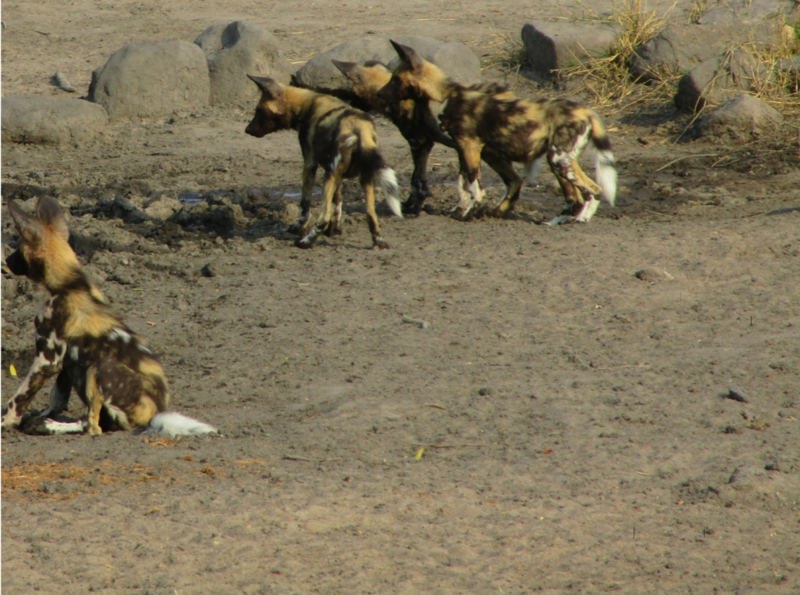 Thereafter they get forced out of her territory to search for their own spot to call home. 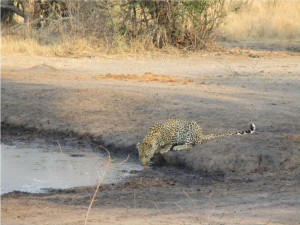 A quick drink of water for Sibuyi first thing the next morning after finishing off the last of her kill the night before – no cub this time. 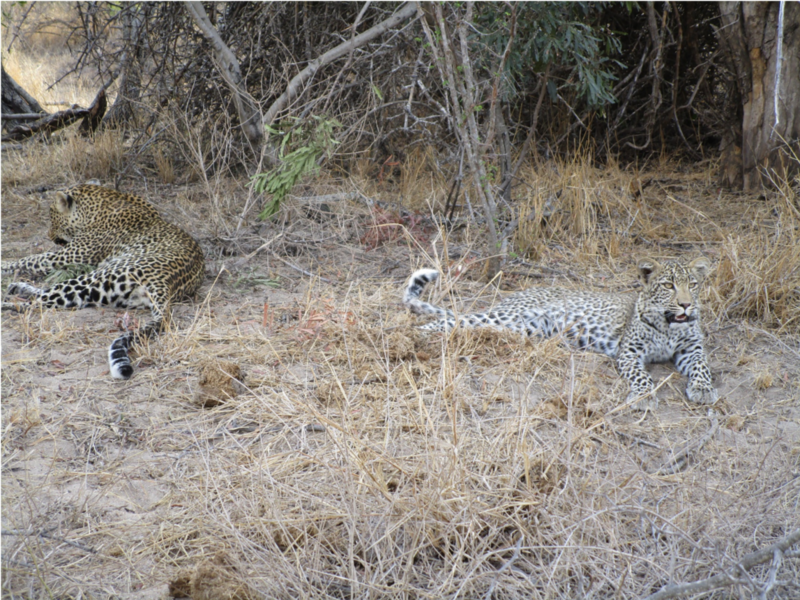 We were so excited to see Sibuyi and her daughter return back from the south, and even more excited to see them on a kill – it was definitely a highlight! Let’s hope they stick around for a while. We also had the pleasure of seeing some other youngsters! 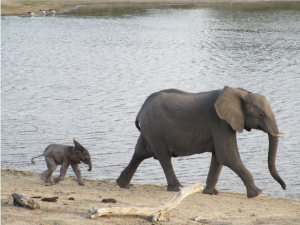 Newborn baby elephant (about 2 weeks old)!